Learn, Inspire, and Grow. Become a Health Educator. Over the course of this 800-hour professional yoga therapy program, the student becomes versed in the therapeutic application of the Five Points of Yoga and the Four Paths of Yoga. 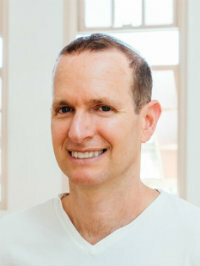 The goal of the Sivananda Yoga Health Educator is to empower participants in their own Self-healing through the practice of asana, pranayama, conscious relaxation techniques, vegetarian diet, positive thinking tools, and meditation practices. Practical tools, foundation concepts and philosophical knowledge are gained to create the framework for more advanced study as one progresses through the program. Emphasis is placed on understanding the subtler aspects of the causes of disease and stress in the individual. Common health conditions addressed include respiratory disorders, cardiovascular conditions, diabetes, auto-immune disorders, musculoskeletal conditions, psychology, etc. 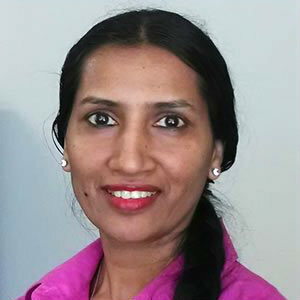 Intensive study in Yoga psychology, the therapeutic effects of meditation practice, the theory of karma and disease, counseling techniques based in the Vedic sciences, Ayurveda psychology, as well as understanding the root cause of addiction and behaviors are covered in the curriculum. Thus, the Yoga Health Educator has the knowledge and intuitive capacity to be a positive and healthy instrument of healing. The Sivananda Yoga Farm’s 800-Hour Professional Yoga Health Training is accredited with IAYT. 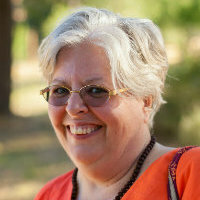 The Sivananda Yoga Health Educator program is structured over two years and meets three times for 15-day intensives at the Sivananda Yoga Farm in Grass Valley, CA. Each intensive includes self-study materials with assignments of the program material, concepts, and their application. Practicum: Yoga Health Techniques Applied knowledge and techniques to educate individuals and groups under the guidance of a mentor in a medical clinic or yoga center. 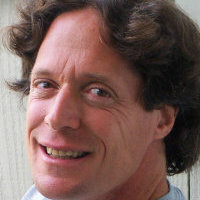 Health (proper exercise, proper breathing, proper relaxation, proper diet, positive thinking and meditation), combined with techniques from the Four Paths of Yoga to form the foundation of the Yoga Health Educator’s work. Knowledge of western medical and psychological approaches to health and healing prepares the Yoga Health Educator for future collaboration with health care providers. Study and practical application of the Five Points of Holistic Yoga for Integral Health and classical Four Paths of Yoga for Health and Well-being to form the foundation of all future teaching within the program. Included will be an overview of the course schedule, plus integration of teaching flow, assignments, grading and details of the practicum. Yoga Health Educator students will gain practical understanding of the body-mind relationship through the application of specific Hatha Yoga and Raja Yoga techniques. Yoga Health Educator students learn how to train others to recognize the mind’s karmic tendencies and negative behaviors; and further learn how to apply Yoga practices and techniques in response to those tendencies and behaviors to reduce stress and anxiety. Raja Yoga is the royal path of mind control and meditation. Yoga Health Educator students learn to apply the classical teachings of the Raja Yoga Sutras in the context of daily life, gain understanding of the workings of the mind, and learn techniques to systematically identify the causes of suffering, design methods and techniques to alleviate suffering; learn methods to help reduce distractions and increase concentration and peace of mind; learn methods to overcome bad habits and addictions by changing existing mental patterns. Yoga Health Educator students delve deeper into the health benefits of practicing yoga poses—physical, psychological, and energetic—learning to apply asana techniques to improve specific systems of the body. Concentration techniques will be included. Gentle Yoga gives Yoga Health Educator students the necessary training and skills to adapt and modify asanas as needed—due to age, weight, illness, injury or limited flexibility. 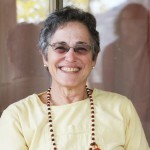 Workshops will include discussions on the philosophy and psychology of Gentle Yoga and aging, combined with practical hands-on instruction in the application of Yoga techniques to address the special needs of the individual; the philosophy and psychology of Gentle Yoga; experiences of Gentle Yoga; how to work with varied populations, and common ailments associated with back pain, joint pain, bone strength, balance and more. causes of disease; provide a framework for understanding health and wellness according to Ayurveda; and to develop strategies and lifestyle practices aligned with Nature and self healing. The Eight Limbs of Raja Yoga will be presented in depth. The physical practices lead to inward awareness, concentration, and ultimately, samadhi. Pacifying the senses leads to discrimination and detachment. Will you choose fear or faith? 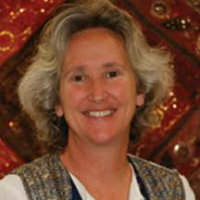 Ayurveda Foundations introduces key principles and concepts of Ayurveda that form the basis of all future Ayurveda course work of the Yoga Health Educator program. Ayurveda is the ancient Vedic science known as the “Science of Life”. Ayurveda is a comprehensive holistic healing tradition and sister science to Yoga that addresses the health of the physical body, mind, emotions, and spirit—seeking to bring balance and integration to one’s daily life, relationships, aspirations, well-being and sense of Self. The Yoga Health Educator student will be exposed to the subtler aspects of Ayurveda to deepen their existing knowledge of concepts including Ayurveda psychology, constitution, the disease process and treatments, structure of tissues, subtle anatomy, and Hatha Yoga practices combined with Ayurveda to bring physical and psychological balance and health. 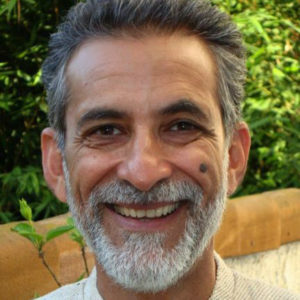 Five Layers of Healing introduces the Upanishadic model of the Pancha Maya Kosha to develop understanding of the five koshas as seen through Yoga and Ayurveda and their therapeutic application. Special reference is made to the Pancha Maya Kosha system. Practical applications and remedial practices are given to promote healing for physical and emotional well-being. Practical sessions include movement, breath work, imaging, chanting and contemplation. You will learn anatomical and physiological functioning of all the systems of the body, and also the possible pathology to the systems, and the conventional treatments. Providing in-depth knowledge of the skeletal and muscular systems of the human body. Bone and joint anatomy, muscle physiology and bio-mechanics of movement will be introduced as well as common problems and the effects of aging on the functioning of bone, joints, and muscle, counter-indications, and common medical interventions. Covering the structure and function of the respiratory, circulatory, lymph, and digestive systems. Healthy functioning of the systems will be discussed as well as common diseases, counter-indications, and the effects of aging. Providing knowledge of the structure and function of the nervous, endocrine, and immune systems of the body. Common disorders of the systems will be introduced as well as autoimmune diseases and common interventions. The effects of physiological and psychological stress on health and well-being will be introduced. Familiarization with symptom-based history-taking. An overview of commonly-used drugs and procedures for a wide variety of ailments, including the cardiovascular/pulmonary system, immune and endocrine system, musculo-skeletal system, reproductive system and skin. Yoga Health Educator students learn how to appropriately adjust students in asanas. Guidelines will be shared for teaching children, increasing their awareness, coordination and concentration. Adapted yoga to support pregnant women will be presented, including yoga practice for general reproductive health and disorders. Asanas affecting the digestive system will also be discussed. Having completed Modules 1 and 2, the Yoga Health Educator begins to pursue the online Distance Learning portion of the curriculum. Distance Learning classes require approximately 2 hours per week in online sessions over the course of 1 year. Assignments and exams are used to assess the progress of the Yoga Health Educator’s study. With Module 3, the Yoga Health Educator is ready to dive more deeply into the practical application of Yoga therapeutic techniques to develop the skills necessary to meet the needs of a wide variety of populations, age groups, cultural backgrounds, and to address both physical and psychological health conditions. 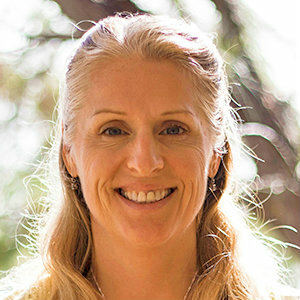 Accessible Yoga, Chair Yoga, Restorative Yoga techniques are offered along with Yoga Therapy workshops to address specific ailments of the physical body or psychology. Because the Yoga Health Educator is nearing completion of Year 1 and preparing to embark on Practicum work, a strong understanding of ethical guidelines and the principles of the therapeutic relationship are essential to the Yoga Health Educator’s work in Module 3. Yoga for back and spinal column pain. Physiology of back pain. Includes conditions: slipped disc, herniated/bulging discs, scoliosis, kyphosis, lordosis, weak backs, lumbar pain, cervical pain, disc degeneration. Understanding common complaints of the neck, upper spine, shoulder, hip, knee, ankle and foot. Variations for postural ailments, including alignment and breath work. Yoga for Balance due to brain conditions; inner ear disorders, visual impairments, obesity, sacral and hip instability. Discussions and practice on mental balance and emotional stability. Yoga for people recovering from surgery, including spinal surgery, caesarian birth, heart surgery, shoulder/hip surgery. Wisdom in the Therapeutic Relationship Taught by Swami Jnaneswariananda Ethical considerations grounded in the Yamas and Niyamas, serve as the guiding principles that define the Yoga Health Educator’s sense of purpose and service to others. Leading with Ahimsa: practice of respect, non-violence, gentleness in thoughts and deeds—without anger or frustration. Self-control must be cultivated in sensual and sexual matters. Mental restlessness gives way to contentment. Satya is the practice of telling the truth with consideration and sincerity. The adoption of a positive lifestyle and taking appropriate action leads to sattva, purity, serenity, Self-knowledge and balance. A simple life is healthy life. How to use the Yoga Health Assessment Guide, observation and assessment of physical and mental/emotional states. Writing up SOAP Notes. How to adjust the protocol based on client needs; monitoring the effects of change(s), and how to support the client in the process of change. Identify professional behavior in therapeutic practice. Discuss professionalism as a means for managing subtle dynamic situations. Maintain communication with clients that supports clarity and awareness of subtle dynamics. Three aspects of subtle dynamics: power, trust, and termination. Recognizing symptoms which merit referral and knowing when to refer to a health care provider. 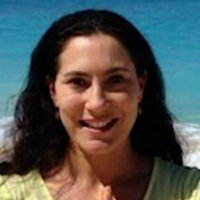 Yoga for All Taught by Jivana Heyman Accessible Yoga focuses on how to make the Yoga teachings available to everyone, regardless of their level of physical ability. Integrated Accessible Yoga classes can be created where all students can practice together, with the practice modified to suit students with disabilities, physical challenges, as well as seniors. We’ll consider how to make our classes welcoming to everyone, and to approach students in a trauma-informed way. 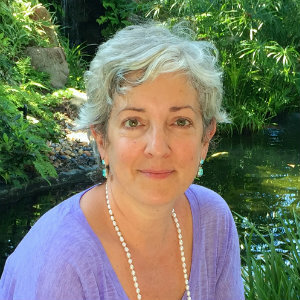 Chair Yoga Training Taught by Stacie Dooreck (Saraswati) Chair Yoga is simply Yoga done in a chair or standing and sitting using the chair as a prop for support and more stability than the floor or standing may offer. Chair Yoga is ideal for seniors or those needing a Gentle Yoga class; those with chronic illness; pre- and post-surgery or injury modifications; those in wheelchairs or those with disabilities; Yoga at work (in conference rooms or at your desk); and for those in post-traumatic stress recovery. Restorative & Gentle Movement Practices Taught by Nora Benian (Sundari) Restorative Yoga is designed to give Yoga Health Educators the knowledge to work with participants to re-align the physical body and restore inner balance by soothing overstimulated nerves, easing the mind from unnecessary concerns, breathing into new spaces and relaxing organs and muscles. The Yoga Health Educator learns the skills to guide participants to move slowly through specifically selected Yoga postures with and without props, incorporating breathing exercises (Pranayama), and following Ayurvedic and Yoga therapeutic principles to free the flow of Prana. In rebalancing and bringing harmony to the body and mind we support the natural healing process, relieve tension and prevent build-up of stress. In this module, spread over more than one year, students will continue learning about Anatomy and Physiology, plus Ayurveda: daily routine, how to adapt to seasons, Ayurvedic nutrition, Ayurvedic herbs, Ayurvedic therapies. There will be in-depth teaching on the psychological causes of addiction, offering holistic strategies on how to manage addictions and self-destructive behaviors. There will be discussions on Ayurveda practical therapies in relation to the disease of addiction, as well as understanding of the human condition through Yoga and the 12 Steps. Students will be familiarized with different types of addictions, their medical classification and terminology. During the final distance learning sessions, students will learn the basic principles of the therapeutic relationship, and revisit the ethical principles of a YHE, as well as the legal and the business of Yoga Health Education. Online sessions will be recorded and, with advance permission, may be available in lieu of real-time participation. Note that instructors are subject to change without notice. As part of the Practicum Program, and under the supervision of an assigned Mentor, the Yoga Health Educator meets with participants in one-on-one Yoga Health Consultation sessions (observed and unobserved). The Yoga Health Educator will conduct intake and assessment of the participant, develop protocols addressing the participant’s needs, and provide documentation for each case. Follow-up, re-assessment, and adjustment of protocols to meet the participant’s evolving needs and goals are an essential component of the Practicum and the work of the Yoga Health Educator. Accommodation costs are not included in the program Tuition. SYHET students receive a special discount on accommodations. Accommodations include two meals per day. The completion of an approved 200-hour Yoga Teacher Training Course is a pre-requisite for the Yoga Health Educator Training. To fulfill the program competencies the student must successfully complete the four designated Sivananda Yoga Health Educator modules along with 250 practicum hours under mentorship. The SYHET has been transformative. I signed up for the training wanting to infuse Eastern therapy practices into my Western clinical psychology career. After just the first module of the training, I came to realize that the reverse will be true – I will be infusing a bit Western psychology into my Yoga Health Education career. My favorite moment was witnessing the dialog between Swami Sita and an individual suffering from cancer, who was a patient of one of the SYHET teachers, Dr. Jain. 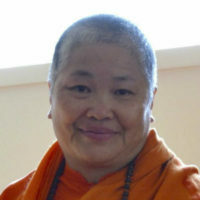 It was instructive to hear how Swami Sita diagnosed the patients’ underlying emotional and spiritual challenges and then offered her a specific personalized prescription of Bhakti Yoga. It was inspiring to see how Swami Sita and Dr. Jain (an M.D. physician) could work together in such harmony towards helping the same patient. 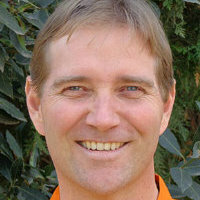 Just finished the second module of the Sivananda Yoga Health Educator-2 year, 800 hours long Yoga Therapy course, with contact, practical & online modules-aiming to bring western medicine & holistic healing techniques of Yoga & Ayurveda together, providing a much needed & balanced approach to health & healing. Thank You Swami Sita & all the teachers & organizers of this course for putting together this amazing content. Q. Why is SYVC only now implementing the Yoga Health Educator Training? A. The international Sivananda organization has taught the holistic health benefits of classical Yoga for more than 50 years. Today, Yoga is widely known as a powerful way to deal with stress and is recognized as an alternative approach in health and preventative care. The Sivananda Yoga Health Educator Training offers the opportunity to apply the classical Yoga teachings to empower others in their own self-healing. Q. How will Yoga teachers from schools other than Sivananda benefit from this course? A. Yoga is universal. Yoga teachers differ in their approach to physical postures, sequences, priorities, outlooks and class curriculum. Sivananda Yoga integrally includes breathing exercises (pranayama), relaxation (savasana), vegetarian diet and positive thinking, meditation (dhyana) and Yoga philosophy (Vedanta). Teachers from other hatha Yoga lineages would especially gain an opportunity to experience immersion to the Yogic lifestyle. Q. How do I find a job as a Sivananda Yoga Health Educator? A. The program is constructed following the International Association of Yoga Therapists (IAYT) curriculum. SYVC and IAYT are two well-known Yoga organizations. You will stand out in the alternative health field, backed by these two credible organizations. With this training, you can mediate between health care providers and Yoga schools, either referring to existent Yoga courses or provide courses tailored to your specific interest. Q. Who can I serve and how do I get clients? A. There are many possible venues. Bring practical Yoga knowledge into hospitals, health clinics, acupuncture clinics, PT and chiropractic offices, social work, at-risk youth facilities, corporate wellness programs. Serve clients struggling with addiction, stress/anxiety, PTSD (survivors of violence—domestic, sexual, personal or military), depression, nervous system disorders, recovery from injury/surgery, chronic pain, autoimmune disorders, behavioral issues and more. Learn how to create a clientele in the “Yoga Business Practices” module during year two. Q. How does the Yogic lifestyle complement the health care system? Attention to these underlying causes of disease can have remarkable results in the effectiveness of treatments. Q. What if clients do not believe in the astral body or the connection between mind-body-spirit? A. There are countless modern scientific studies on the therapeutic effects of Yoga in specific incidences of disease. This brings light to the relationship between body-mind-spirit. It is not a question of belief, but rather viewing each individual as a whole and providing healing practices based on one’s specific needs. Q. What about Sivananda Yoga Health Educator liability? A. You are required to follow the protocol of the health institute you are affiliated with. If you consult independently, you can obtain any insurance policy with coverage for Yoga teachers.